Siegfried & Roy introduced the world to the newest additions to their animal family when four 6-week-old tiger cubs made their first appearance at Siegfried & Roy’s Secret Garden and Dolphin Habitat at the Mirage Hotel & Casino on Sept. 12. Born on Aug. 5 at the Secret Garden to mother Indira and father Svengali, these are the first tiger cubs to be introduced at the Mirage in five years. Animal lovers from around the world will be able to watch and follow the cubs’ journey using the Twitter and Instagram handle @SARMOTIcubs and on Facebook at Facebook.com/SARMOTIcubs. See the full release to learn more about the cubs. Interested in receiving more press releases like this? Sign up for PR Newswire for Journalists and create a free profile to have news emailed to you about hotels and casinos. Get started now. According to recent research from staffing firm OfficeTeam, about one in three (35%) workers surveyed admitted they’ve had an office bully. More than one-quarter (27%) of human resources (HR) managers interviewed said they think workplace bullying happens at least somewhat often at their company. When employees were asked how they responded to a bully, 32% stated they confronted the person. Another 27% told their manager, and 17% did nothing. See the full release to learn more about the survey. Interested in receiving more press releases like this? Sign up for PR Newswire for Journalists and create a free profile to have news emailed to you about the workplace and other topics you cover. Get started now. Fodor’s Travel, the leading name in travel guides for almost 80 years, introduces its newest guidebook destination: Fodor’s Brooklyn. The New York City borough’s profile has experienced a meteoric rise in recent years, drawing an increasing number of visitors to explore its diverse neighborhoods. Until now, major travel publishers, including Fodor’s, covered Brooklyn as a chapter in their New York City guides. 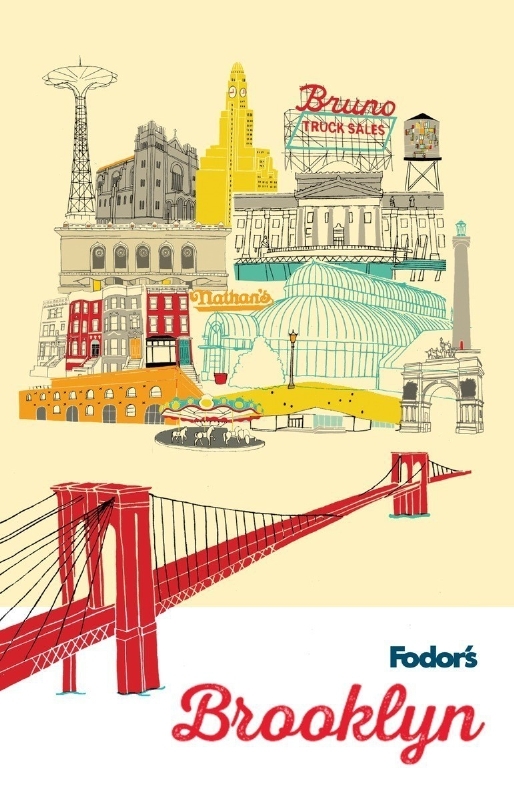 Fodor’s Brooklyn expands coverage to a full 264-page standalone guidebook, reporting on 29 neighborhoods, over 50 cuisines, and the flourishing design and culture scenes. See the full release to learn more about the book. Want to make sure you don’t miss travel news? Sign up for PR Newswire for Journalists and create a free profile to have releases emailed to you about the topics you cover. Get started now. This Old House is back with its cast of experts featuring two projects that highlight the series’ expertise in both historic restoration and cutting edge building techniques. Week by week, national audiences will see general contractor Tom Silva; master carpenter Norm Abram; plumbing and heating expert Richard Trethewey; landscape contractor Roger Cook; and host Kevin O’Connor tackle the restoration of a 1890s shingle-style Victorian house and the building of a new, historically accurate federal style home pre-engineered in a factory. The Emmy Award-winning home improvement series premieres new episodes Oct. 1 on PBS (check local listings). See the full release to learn more about the new season. Don’t miss other television and home improvement news like this. Sign up for PR Newswire for Journalists and create a free profile to have press releases emailed to you on the topics you cover. Get started now. The Victoria’s Secret Angels return to New York City on The Victoria’s Secret Fashion Show, Tuesday, Dec. 8 (10:00-11:00 PM, ET/PT), on the CBS Television Network. The world’s most celebrated fashion show will include an all-star lineup of Victoria’s Secret Angels, including Adriana Lima, Alessandra Ambrosio, Behati Prinsloo, Candice Swanepoel and Lily Aldridge, as well as newest Angels Elsa Hosk, Jac Jagaciak, Jasmine Tookes, Kate Grigorieva, Lais Ribeiro, Martha Hunt, Romee Strijd, Sara Sampaio, Stella Maxwell, Taylor Hill and Victoria’s Secret PINK model Rachel Hilbert. See the full release to learn more about the show. Interested in receiving more fashion news like this? Sign up for PR Newswire for Journalists and create a free profile to get press releases sent to you on the topics you cover. Get started now.